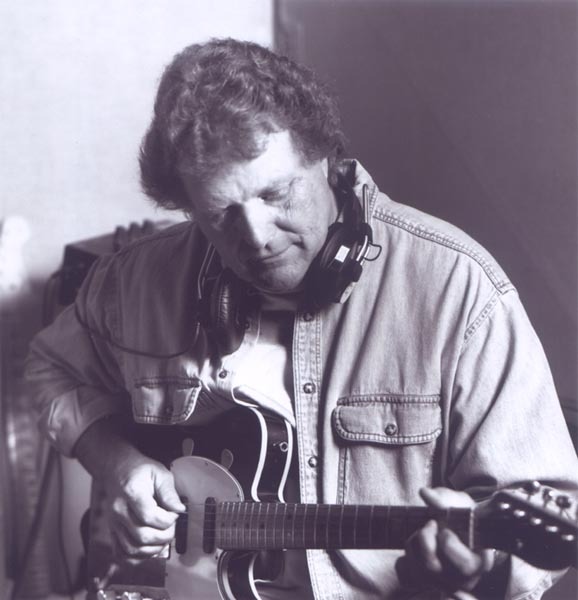 One of the most recorded guitar players of all time, Reggie Young has played on hundreds of hit songs in multiple genres. His career spans over 50 years and between the years 1967 thru 1971 alone his guitar was on 120 Top 40 pop and R&B hits. He's recorded with Elvis and opened for The Beatles along with playing guitar on several hundred different artists recordings, playing rockabilly, R&B, rock, pop, country and jazz with some of the greatest of all time: Alabama, Paul Anka, Eddy Arnold, BabyFace, Joan Baez, Bill Black Combo, Clint Black, Bobby "Blue" Bland, Eddie Bond, Bonnie Bramlett, Garth Brooks, Buck Owens, Jimmy Buffett, Buffy Sainte-Marie, JJ Cale, Glen Cambell, Ace Cannon, Johnny Cash, Rosanne Cash, Ray Charles, Kenny Chesney, Petula Clark, Patsy Cline, Joe Cocker, Jessie Colter, Earl Tomas Conley, Conway Twitty, Bing Crosby, Crusaders, Billy Ray Cyrus, Lacy J. Dalton, Neal Diamond, Bob Dylan, Duane Eddy, Don Everly, Donna Fargo, Janie Fricke, Lefty Frizzell, Amy Grant, Lee Greenwood, Dobie Grey, Merle Haggard, Ronnie Hawkins, Highwaymen, Clarence Frogman Henry, Johnny Horton, Etta James, Waylon Jennings, George Jones, Tom Jones, Doug Kershaw, B.B. King, Al Kooper, Kris Kristopherson, Jerry Lee Lewis, Dave Loggins, Patty Loveless, Loretta Lynn, Herbie Mann, Dean Martin, Delbert McClinton, Little Milton, Scotty Moore, Willie Nelson, Aaron Neville, Mickey Newbury, Danny O'Keefe, Roy Orbison, Buck Owens, Dolly Parton, Johnny Paycheck, Carl Perkins, Wilson Pickett, Elvis Presley, Charlie Pride, John Prine, Kenny Rogers, Earl Scruggs, Dusty Springfield, Cat Stevens, George Strait, Ernest Tubb, Shania Twain, Dion Warwick, Andy Williams, Don Williams, and there are many more. Reggie Young is known internationally and his style of playing is copied by guitar players all over the world. The following interview is taken from a 30 minute sit down I had with Reggie on Sept. 28, 2007. Meet Reggie Young. Bronson: Man I have been looking at your world and you have done so much that it's one of these things like where does a guy even start, but one of the things I saw was that your dad played guitar? Reggie: My dad played Hawaiin guitar. Bronson: Did he play professionally? Reggie: No. My uncle, his brother and him, they were on the radio back in the 1930's on KLCN in Blytheville, Arkansas. That's how my mom met him. Bronson: You were born in Missouri, raised in Arkansas, and then Memphis? Reggie: Moved to Memphis in 1950. Bronson: So you were 15 years old when you played your first gig where you got paid, by 20 you were on the road touring alongside Johnny Cash, Carl Perkins, Roy Orbison ... tell me about that. Reggie Young: There's a local guy named Eddie Bond in Memphis who later became a disc jockey, and we cut a record in a radio station called "Rockin' Daddy", it was in 1955, '56, and it became a regional hit. Eddie Bond and the Stompers (laughing). Bob Neal who was Johnny Cash's manager back then, booked us on a package tour and we worked the whole year of 1956 with who you just mentioned. Carl Perkins, Cash, some other rockabilly acts, but Eddie Bond and Johnny Horton sometimes and sometimes Elvis. Bronson: Is that where you met Johnny Horton and got with the Louisiana Hayride? Reggie Young: Yeah, I went down there in 1958. His guitar player Tommy Tomlinson, I don't know what happened, but anyway I got asked would I like to do that. Horton and Tillman Franks was his manager and bass player, so it was just the 3 of us, kinda like a Johnny Cash thing. So I went down there and played the Hayride and they payed us $13 every Saturday night (laughing). Bronson: Wow .. and I'm sure you were glad to get it (laughing). Reggie Young: Oh yeah and here's what's funny because he would go, like we might play a date in Phoenix and you know there wasn't many interstates, if any at that time and it would take 2 days to drive out there, 2 days to come back and you know, play the gig for .. I think I was making $25. Bronson: So what did you ride in? Reggie Young: Horton had a Cadilac, '56 .. '57 Cadilac. A big ol' long black thing and just the 3 of us traveled in it, bass on top (laughing). Bronson: So when you landed in Memphis, that's when you started your association with the American recording studio, right? Reggie Young: Yeah actually I started in Memphis ... well I had known Bill Black when I was in high school. 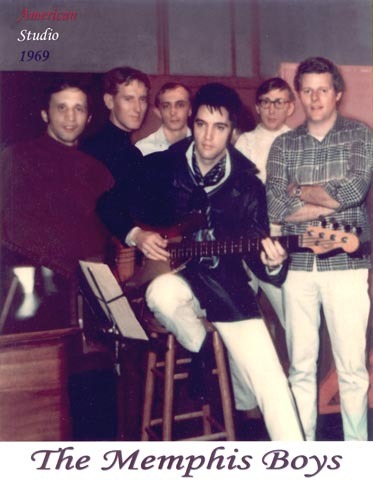 Bill was Elvis's bass player and so I knew Bill and Scotty Moore, we go back that far back in the '50s. In 1959 I guess, I was in Shreveport and I got my draft notice, the lady at the draft board said "you better get home because you're probably going to go out on the next draft." ... Okay .. (laughing) so I quit and came home in 1959 and got with Bill, it was a year later before I got drafted, but during that year we formed a little group working at High studio in Memphis, Royal recording. We were recording with just local people but one of the things we did was an instrumental and I was playing guitar. I tuned my guitar down 2 steps and then played it with a pencil ... like tapping out a rhythm, it was a shuffle (simulating the sound with his voice and slapping his leg in time) you know but not using a pick, and we did this little instrumental called, "Smokey" Pt 1 & Pt 2, and anyway once a month the guy from London Records would come down to hear what we had done and he heard that, we didn't really think anything about it, and he said, "Wow, what is that?!" Well anyway they released it on London Records and it was a Top 10 instrumental. You know instrumentals sold back then and so I toured with Bill Black. In the middle of this I got drafted and had to go to Ethiopia for almost two years and got out, went back with Bill and worked at High Studio. Bronson: That was when you actually opened up for The Beatles, right? That period that you were working with Bill? Reggie Young: Well we had quit, we all quit the road in '62, after I got out of the army and we toured, then we decided we didn't want to do that anymore. They had 3 Bill Black bands, one on the east coast, one in the midwest and one on the west coast (laughing). The same manager in New York booked all of them and Bill made all the money (laughing). In '64 we got asked, or one of the local road bands, a guy named Bob Tucker had Bill Blacks band, and The Beatles asked for the Bill Black Combo to open their first tour of America, a 30 day tour. Well I wasn't in that band but I bumped the guitar player because I was one of the original players (laughing) the main reason I wanted to do it was to go to Europe. So I did, I bumped the guitar player and we did 30 days and I'll never forget the first night we opened in San Francisco at the Cow Palace, and it was frightening. I mean they had barricades up in front of the stage and thousands and thousands of screaming kids. There was a show, actually an hour we played .... the opening acts ... we went on first then backed up the other acts, which was like Jackie Deshannon, The Righteous Brothers, Frogman Henry (laughing) then we'd take a break and then they'd bring out The Beatles. Well this whole first hour, I remember they started out, the local disc jockeys would say (very animated, raising the volume of his voice as if on stage)... "Okay, is everybody here to see Ringo?" (Reggie imitating crowd) Yeahhhhh! "Paul McCartney?" crowd Yeahhhhh!, you know he went down the list and they got 'em all in a frenzy, and then the last thing he'd say ... "Here's the Bill Black Combo!" ... Boooooo! (laughing) and they were hurling things on stage, they didn't wanna hear anybody you know. Bronson: How old were you when you did that? Reggie Young: Gosh, well that was in '64, I was born in '36, 20 something. Bronson: Boy that's some experiences. Reggie Young: But anyway we got them to stop that after the first couple of shows 'cause it was kinda dangerous, but we traveled with them the whole 30 days and became real good friends with them. I got to be friends with (George) Harrison and yeah it was quite an experience. Bronson: So if I'm not mistaken, between the years of 1960, '61, '62, you played on over 120 hits? Is that the right years? Bronson: Man the first song I learned how to play on the guitar was "In The Ghetto", I was 12. (Reggie laughing) I never realized that it was you playing the guitar so when I was researching you to do this interview and I saw that and I thought man, you know? That's wild ain't it? So that and "Suspicious Minds" .. ? Reggie: "Suspicious Minds" and "Kentucky Rain" .. you know I'm glad I got to be a little part of that history and he wanted us to go on the road and nobody really wanted us to go. The band was Bobby Wood - piano player, Bobby Emmons - organ, Gene Chrisman - drummer, Tommy Cogbill - bass, Mike Leech - bass & arranger and myself, and then Chips producing. All these artists came through, we had 'em backed up and we cut a tremendous amount of hits on 'em.